← Pie Sales are coming to a Close! Mobile Food Truck arrives in just a few days!! The Mobile Food Truck from the Houston Food Bank will be delivering free produce to Huntsville THIS SATURDAY! 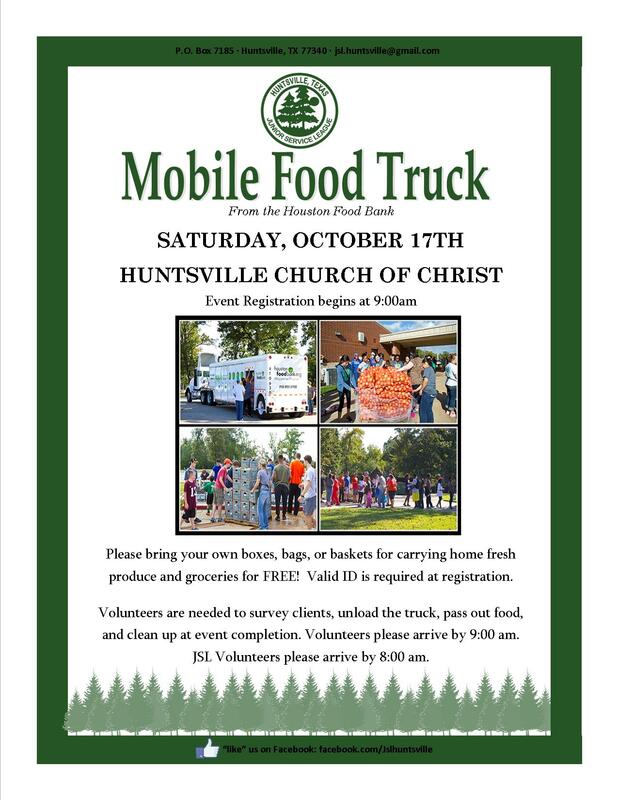 The food truck should arrive sometime after 9:00 at the Huntsville Church of Christ. 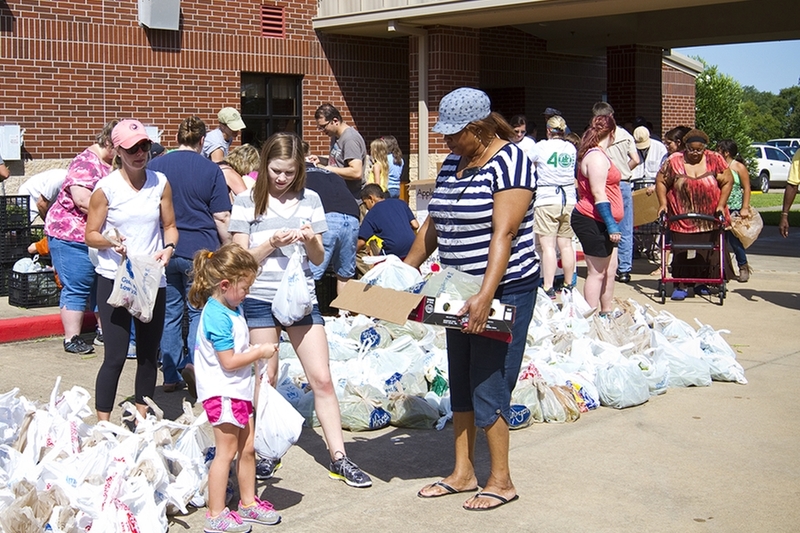 As soon as the volunteers are able to unload the truck, our guests will load up on fresh fruits and vegetables to take home for their families. In addition to free produce from the food bank, we will be handing out our homemade laundry soap from a recent service social. Each family will receive a bag of laundry soap containing enough to clean 3-5 loads of laundry. We hope this additional blessing will be a big help to those attending. 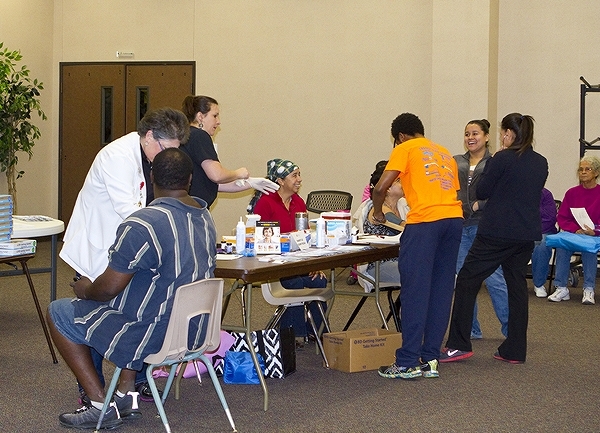 Another great service to our guests can take advantage of is free medical screenings from medical professionals. Please share this information with anyone who may need to take advantage of this day full of blessings! 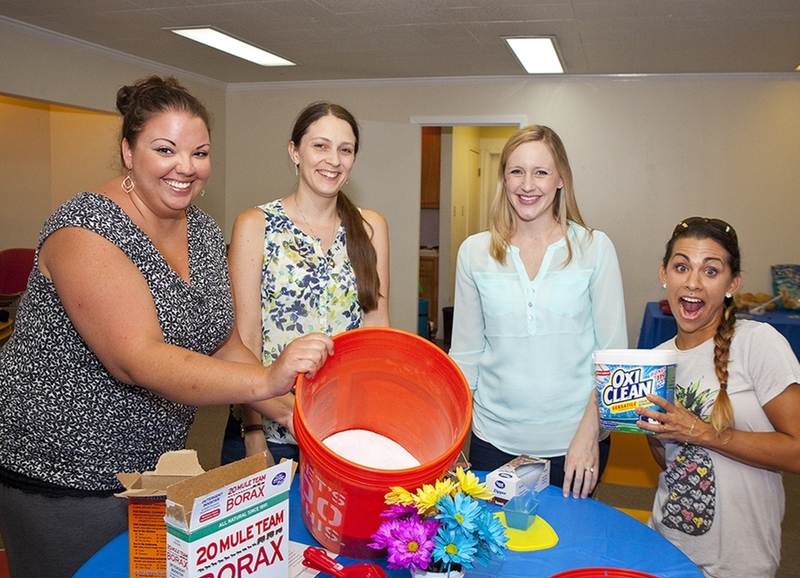 Come serve alongside community members to give back to those who are less fortunate. Volunteers for the food truck should arrive at 9:00.